Hubby and his beer will fit right in in the other Corona. Absolutely i would hire them; especially if the pay is a cold brew. Welcome aboard, Sandy. I love your blog layout and am looking forward to photos of the "Fancy Horse" and your other friends. Love the picture! 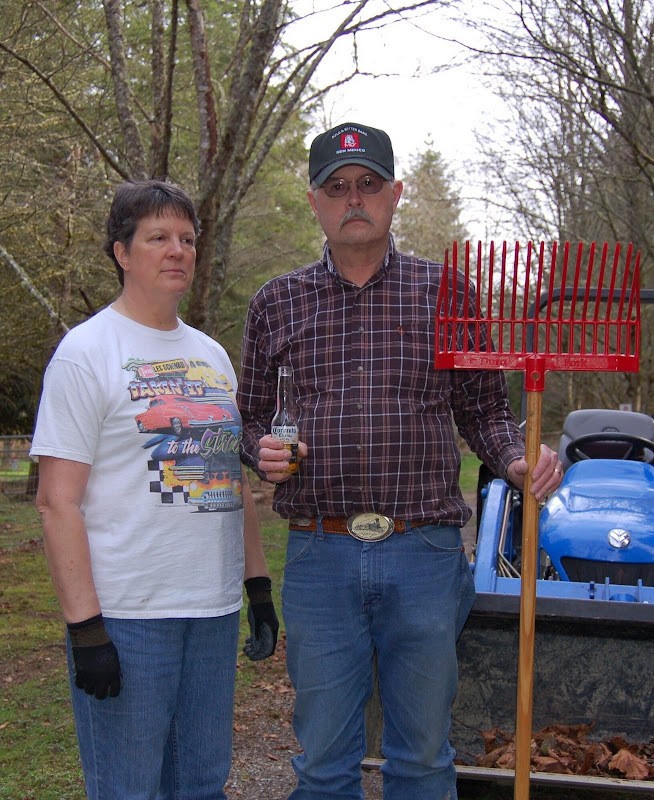 It totally reminded me of the famous American Gothic painting right away! Good Job, you make me want to start a blog too.